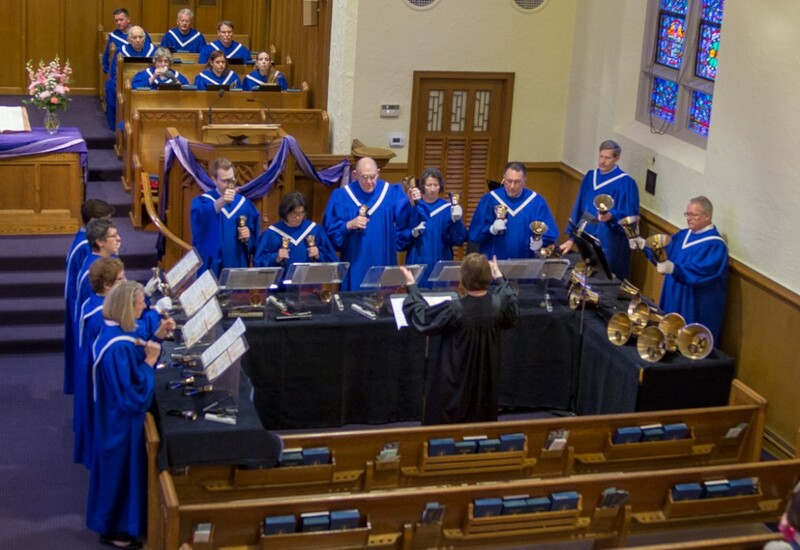 Participation is central to the music program at First Presbyterian Church of Wilmette. Whether you sing from the pews every Sunday or participate in one of the many groups, music allows us to express our faith in a way that is deep and abiding. 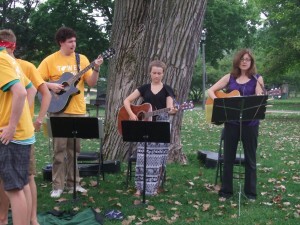 Our mission is to inspire and enhance all worship services through the offering of excellent sacred music. Over 75 members of all ages are involved in our various music ensembles – from first graders to mature adults. The Chancel Choir is a high school/adult ensemble that sings weekly at our 10:00 a.m. worship service and at special services throughout the liturgical year. Supporting hymn singing, responses and offering one or two anthems during worship is our main focus. Rehearsals are Wednesday nights from 7:30-9:00 p.m. in the Music Room on the lower level. A variety of musical styles are represented in the repertoire of the Chancel Choir, from early music to gospel. We are fortunate to have 3 professional singers that enhance our experienced and inexperienced core of volunteers. If you are not able to commit for the entire season (September-May), we would be happy to welcome your participation as your schedule permits. Advent Lessons & Carols, Christmas Eve services, Holy Week (Easter) services and Choir Sunday offer special times and seasons that you can join for a short term. Past Choir Sundays have included works such as Requiem (John Rutter), Mass in G (Franz Schubert), Misa Criola (Ariel Ramirez), Gospel Mass (Robert Ray), Feel the Spirit (John Rutter), Requiem (Gabriel Faure), Te Deum Laudamus and Jubilate Deo (Henry Purcell), Godspell (Stephen Schwartz). Professional instrumentalists have accompanied these inspirational works as the Chancel Choir provides the solo and choral parts. 6:00 Church Family dinner (RSVP to Chef Amy by Wednesday mornings) Adults and children alike are invited to join this casual time of food and fellowship, whether you are in Singers & Ringers, a parent or caregiver, or are attending a church meeting and need to grab dinner. Suggested donation is $8 per adult and $6 per child (10 and under). Whether in a solo capacity or as part of a small ensemble, instrumentalists add variety and inspiration to our worship music. Those who are interested in participating from time to time are encouraged to contact Peggy Massello, Director of Music and Worship.